Meet the volunteers who make up our Executive Committee, Board of Directors, and Advisors, who work together to keep the Foundation going and growing. The Executive Committee consists of 4 Board members that are elected to serve as the officers of the Foundation. The Executive Committee runs the day to day operations of the Foundation. David is honored and privileged to serve as the President of the CHARGE Syndrome Foundation. David, his wife Jody, and their son Daniel live in the northwest suburbs of Chicago. Long before David ever knew anything about CHARGE syndrome, he obtained a B.S. in business administration from the University of Illinois, Champaign-Urbana and a law degree from Washington University School of Law in St. Louis. He is a shareholder at Wolfe & Jacobson, Ltd in Chicago. In 1999, Daniel was born and in 2002, David and Jody's lives changed dramatically when Ethan was born with CHARGE syndrome. He opened their eyes to what is truly important in life. David attended his first conference in 2003, and he and his family have attended every CHARGE conference since then. Through their involvement with the Foundation, they have made close friends, celebrated many milestones, and shared so much information. Many of these friends helped them deal with the unexpected loss of Ethan in 2014. Those people who have worked with David know that he firmly believes that almost anything is possible with hard work. David brought that “it can be done” attitude to the Board when he joined in 2008. As the Fundraising Chair, he brought new ideas to the Foundation, which helped increase our revenue. In 2009, he joined the Executive Committee as the Foundation Treasurer. We were able to continue to increase our fundraising and control expenses. Since 2011 he has been the President of the Foundation. As President, David will continue to work hard to advance our mission. While we have come a long way, there is so much more we can and will do in the areas of awareness, education and research. He looks forward to the challenges that lie ahead. David appreciates the opportunity to serve and is available for contact with any questions, comments or concerns. Together we will take the Foundation to new heights. Together, we will make a better world for all individuals with CHARGE. In 2001, Amrit and his wife Poonam immigrated to Canada. Shortly after arriving in their new home, their first child, Aman, was born with CHARGE syndrome. Having found themselves in a new country, with their families thousands of miles away, they were in desperate need of information and support. The CHARGE Syndrome Foundation and its support network quickly filled that void. Today, Aman is almost 15-years old, and despite numerous hospitalizations and surgeries over the years, he has come a long way. This would not have been possible without the resources, guidance, and support from the Foundation, and the many committed parents and professionals who devote their time to it. In 2011, Amrit decided to give back in a small way, and volunteered to serve on the board of The CHARGE Syndrome Foundation. It is an absolute privilege serving on this Board, with several talented people who are so passionate about making a difference. Amrit and Poonam currently live in Bloomfield Hills, Michigan with their three children, Aman (15), Anmol (9), and Rynah (5). 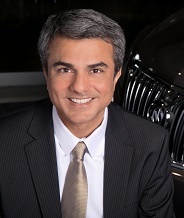 Amrit works full-time at General Motors Company, as a senior executive in Product Development. Over the last 20-years, he has lived and worked in India, UAE, UK, Canada, and USA, holding various positions in Marketing, Sales, Strategy, and General Management at General Motors, Emirates Airline, and Smith & Nephew. Amrit earned a Bachelor's Degree in Mechanical Engineering in India, and a Masters in Business Administration (MBA) in the UK. He also holds a Chartered Professional Accountant (CPA), and a Certified Management Accountant (CMA) designation from Canada. He teaches the CPA’s Professional Education Program and is an alumnus of the 2008 Governor General's Canadian Leadership Conference. Contact Amrit. Brownie lives in Katy, Texas (a suburb of Houston) with husband Tom, and their youngest son, Taylor. They also have an older son who is an artist in New York City. Brownie and Tom own Front Desk USA, which publishes maps for hotels. Additionally, she has a freelance bookkeeping business. Brownie is proud to serve as the Treasurer of the CHARGE Syndrome Foundation. 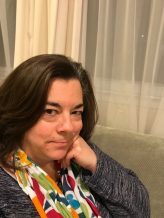 She joined the board in 1997 at her first conference and has been on the Executive Committee since then, moving between Vice President, Secretary, and Treasurer. Brownie has also served as Conference Chair for conferences in Houston and the first conference in Chicago and participated on the conference committee for the past 10 conferences. Brownie and Tom's CHARGE journey began in 1993 when Taylor was born with a hole in his heart. Over the next couple of months additional pieces of CHARGE syndrome became evident, resulting in a diagnosis at 2.5 months. They didn’t know the CHARGE Syndrome Foundation existed until Taylor was 2 and they made it to their first conference in Boston in 1997. The Foundation quickly became a lifeline for them and a passion for Brownie, who says it has made her feel hopeful and helpful at times when she has felt helpless. Brownie has watched the organization grow by leaps and bounds in numbers and ability to serve through conferences, newsletters, outreach, research, etc. She is proud to have been a part of that growth and honored to have been chosen to continue working alongside our great team! Contact Brownie. Joanne and her husband Mike entered the new millennium with their second child, a son, who brought with him unexpected challenges and more questions than answers. Eddie’s medical issues are few compared to his “CHARGE brothers and sisters” but his intellectual and sensory challenges have greatly impacted his life. For years the Lent family looked to the CHARGE Syndrome Foundation for information, direction, and inspiration. 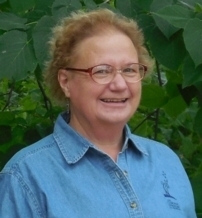 Joanne joined the board in 2013, her 6th conference. With Eddie attending Perkins School for the Blind (he started in July 2014) and Sarah heading to college (just two months later! ), Joanne knew that her empty nest would give her the time and energy to give back to the Foundation and she is honored to be able to do so. Joanne will continue to use her publishing experience to produce an informative newsletter. She looks forward to the additional responsibilities that come with the Secretary position – especially those related to ensuring up to date information is available to everyone in our community. Joanne can be reached at joanne@chargesyndrome.org. 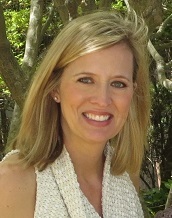 Julie is a Kentucky native and moved to Birmingham, Alabama to attend Samford University in 1990. After graduation, she stayed in Birmingham working in Corporate Communications for Altec Industries and later Protective Life. She and husband, Jay Brandrup, welcomed their daughter in 2004 and quickly became introduced to CHARGE syndrome when baby Adele was diagnosed. In her new role with a medically fragile child, Julie embraced becoming a stay-at-home mom and focused on Adele’s health, early intervention therapies, and communication options for a profoundly deaf child. The Brandrup family uses Cued Speech as their primary mode of communication with Adele and stays active in the Cued Speech organizations. Additionally, Julie is learning American Sign Language along with Adele so they can become more involved with the broader deaf community. The Brandrups are also very involved with low vision and disability groups in their community. 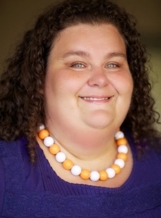 Julie has been a guest speaker for United Way of Alabama, the Bell Center for Early Intervention, Hands and Voices, the Charity League and also at Birmingham Southern College’s special education department. Julie is quick to credit the CHARGE Syndrome Foundation for helping guide their family in all aspects and stages of Adele’s complex needs and development, from newborn hospitalizations and surgeries to the healthy, mainstreamed middle school student Adele is today. Their family, including younger daughter, Margo, has attended all the conferences since 2005 and have been active members and fundraisers for the Foundation. By joining the Board of Directors, Julie is hoping to help other families through the complexities of having a child with CHARGE. She feels the Board’s work at the International Conference is the lifeblood of the Foundation and looks forward to working behind the scenes as well as meeting many new families at the event. Julie also hopes to use her communications background to increase awareness and understanding of CHARGE syndrome for greater outreach and fundraising opportunities. Contact Julie. Megan is a Midwesterner—born and raised in Kansas, where she still lives with her husband and three children. When she was in third grade, she met a young boy with a disability and was hooked! Every summer she volunteered her time at local preschool programs for children with special needs. She got her BS at Union College in Schenectady, New York in Psychology and then received her master’s degree from the University of Kansas in Severe-Multiple Disabilities, Deaf-Blindness. During her 25 years in the field of special education, she has worked with many children with CHARGE syndrome. She started as a classroom teacher and later served as an educational consultant, training teachers and school districts across Kansas on inclusive practices for children with multiple disabilities. She went on to become the director of the Kansas Deaf-Blind Project, where she partnered with colleagues to create the Distance Mentorship Training Project, a technology-based training model that enabled consultants to better reach educators in remote areas of the state. Pam became aware of the CHARGE Syndrome Foundation in the early '90s and has been "hooked" ever since. She relates that, during her 45 years at Perkins School for the Blind, there have been several students with CHARGE syndrome—before and after the advent of the name! As the School Psychologist in the Deafblind Program at Perkins (as well as in her other jobs at Perkins) she had the pleasure and privilege of working with and learning from countless students with CHARGE syndrome and their families. Those learning opportunities guided Pam in providing appropriate recommendations for school/educational program development and understanding the overall development of children in her work evaluating children and young adults . 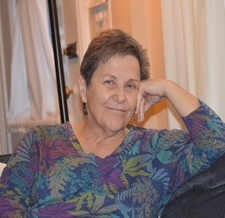 Pam is now retired from Perkins, but remains committed to the CHARGE Syndrome Foundation as a Board member as well as to the wonderful families, professionals, children, and young adults that she has had the good fortune to meet, work and play with. Contact Pam. Neal has been on the Board of Directors of the CHARGE Syndrome Foundation since 1997 and ended his sixth year as President in July of 2011. 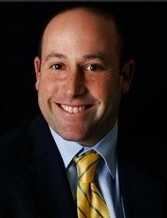 Neal serves as a chair of the Conference Committee. Neal's daughter Megan (pictured with Neal at her Bat Mitzvah in 2007) was born in August of 1993, she was diagnosed with CHARGE syndrome in 1994 and he and his family attended their first International conference in 1995. At that point, Neal felt there was a need for more information about CHARGE and he made a decision to get involved in the Foundation. He was elected to the Board of Directors in 1997 and has held such positions as Communication Committee Chair, Public Relation Committee Chair, Collaboration Committee Chair, Program Committee Chair, Conference Committee Chair, Secretary, Treasurer, Vice President and President. He was also instrumental in starting relationships with HKNC, Perkins School for the Blind, NCDB, NFADB and many other organizations that have the same beliefs that we do. For those of you who know Neal, you will not be surprised that one of main goals for this organization is for it to be financially independent and be able to help as many families as possible and never have to think about the money involved. Neal urges all of you to become annual members or lifetime members of the Foundation if possible. Please feel free to contact Neal with any questions you may have, whether personal or about the Foundation. Neal is thankful for the opportunity to serve on this wonderful board and looks forward to meeting all of you at some point in the future. Deanna lives in the southwest suburbs of Chicago with her husband Bill and two kids Kylie and Dominic. Deanna is a graduate of Northern Illinois University and was a Marketing Director for many years until she had Dominic and decided to join the family business. Now, Deanna, Bill and their family own three ACE Hardware stores. Deanna balances running the stores and Dominic’s schedule and still has the drive to want to help the Foundation any way she can. Kylie is in middle school and Dominic is in intermediate school attending a deaf and hard of hearing program that was created around his needs within his home district. Deanna is extremely passionate about all kids with special needs receiving the education they deserve, especially those with CHARGE syndrome. Dominic was born in 2008 and they attended their first conference in Bloomingdale, IL in 2009. Deanna and her husband immediately felt passionate about the Foundation and knew they had to do more for to help. At the time, they felt their best option was to start fundraising. Since 2009, Bill and Deanna have worked hard to raise money for the Foundation and are always looking for more ways to raise awareness and funds. Now she is ready to do more than just fundraise and really wants to be a part of the new and growing board. By joining the board, she feels she can be an asset in assisting other families in learning ways to make the Foundation stronger. If we want to make the world a better place for CHARGE syndrome it takes a village, and she wants to be part of making that village grow. Contact Deanna. Tim Hartshorne is a professor of psychology, specialized in school psychology, at Central Michigan University. His doctoral degree is from the University of Texas at Austin. He is the grant holder for DeafBlind Central: Michigan’s Training and Resource Project, which provides support to children who are deafbind in Michigan. He has been researching and presenting about CHARGE syndrome since 1993, motivated by the birth of his son Jacob who has CHARGE in 1989. In 1999 Tim established the CHARGE Syndrome Research Lab at Central Michigan University. His particular interest is in understanding the challenging behavior exhibited by many individuals with CHARGE. The lab is staffed with doctoral and specialist students in school psychology, along with some talented undergraduates majoring in psychology and/or neuroscience. Tim has been awarded the Star in CHARGE by the CHARGE Syndrome Foundation. 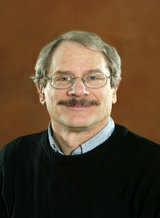 His research was recognized in 2009 by the Central Michigan University President’s Award for Outstanding Research. He is editor, along with, Meg Hefner, Sandy Davenport and Jim Thelin, of the book CHARGE Syndrome. Contact Tim. 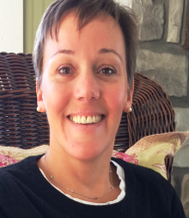 Meg Hefner is a genetic counselor with longstanding interest and expertise in CHARGE syndrome. She completed her genetic counseling training at the University of Michigan. Her experience with CHARGE syndrome began in the mid-1980s, when the newly recognized “CHARGE association” became the focus of a deafblind research team at the University of Missouri, Columbia. This team published extensively on the features of CHARGE and came up with the first algorithm for clinical diagnosis of CHARGE syndrome. Meg’s involvement with CHARGE has included writing and editing educational materials for families, starting the CHARGE Accounts newsletter and, in 1993, co-founding the CHARGE Syndrome Foundation. She has been an integral part of every CHARGE Syndrome Foundation International Conference since the first one in St. Louis in 1993. 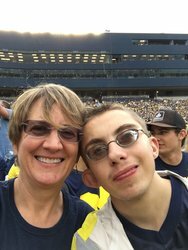 Meg is the recipient of both the Star in CHARGE award from the CHARGE Syndrome Foundation and the Diane Baker Alumni Award from the University of Michigan. She was an editor of the 2005 issue of the American Journal of Medical Genetics devoted entirely to CHARGE and the 2010 Plural Publishing book on CHARGE syndrome. Currently, Meg devotes her efforts to the CHARGE Syndrome Clinical Database Project (CSCDP), a registry and database at Saint Louis University created to facilitate CHARGE research projects around the world. This continuing close affiliation with CHARGE syndrome has allowed Meg to learn about deafblindness and to understand the unique struggles of individuals with CHARGE and their families. Contact Meg. Donna M. Martin (Dr. Martin, left) is mother of Noam Raphael (right), who has CHARGE syndrome. They are photographed at the University of Michigan football stadium, cheering on their beloved Wolverines! 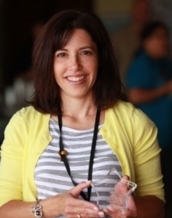 Donna is a Clinical Geneticist, Pediatrician, and Neuroscientist working at The University of Michigan Medical School. She went to elementary, middle, and high school in Wayland, Michigan, and then attended college at Michigan Technological University in Houghton, Michigan. She studied in Germany (Saarbrucken and Stuttgart) for one year before enrolling at The University of Michigan Rackham Graduate School where she received a PhD in Neuroscience. She then completed Medical School and residencies in Pediatrics and Medical Genetics at The University of Michigan. Donna joined the faculty of the University of Michigan Medical School in 2001, and is currently Professor in Pediatrics, Human Genetics, and Otolaryngology. 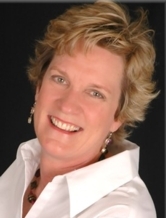 Donna serves as chair of the Scientific Advisory Board for the Foundation. Her laboratory focuses on mouse and cell based models of CHARGE syndrome, and on identifying new genetic causes of CHARGE. She and her husband, Yehoash Raphael, Professor of Otolaryngology at The University of Michigan, work collaboratively in their laboratories, and are both dedicated to improving the lives of individuals with CHARGE syndrome and their families. In her spare time, Donna enjoys travelling with her family, running, swimming, yoga, playing tennis, reading, and doing crossword puzzles. Contact Donna. In 2002, when Jody’s son Ethan was born, she immediately looked to the Foundation for information and support. The Foundation has been an important part of her life since then and she has created many lifelong friendships. Jody feels it is a privilege to give back to such a great organization. Jody has a B.A. in accounting from the University of Missouri. Early in her career, she practiced as a CPA, and later worked at McDonald's Corporation and Nextel Communication in finance and human resources. She completed the Illinois Family Leadership training for families of children who are deaf-blind, served on the Illinois Advisory Board for the deaf-blind, and is a parent mentor for the Lurie Children's Hospital ParentWISE program. She served as committee chair for registration and the camp program for the CHARGE Foundation’s International conferences in 2009, 2011, 2013, and 2015. Most recently, Jody has worked with the National Center on Deaf-Blindness in the creation of online intervener modules and field testing modules to be released. She is looking forward to continuing her involvement with the Foundation. Contact Jody.